Data miners have stumbled upon some interesting Fortnite game files yet again. Another “Fortnite” update is expected to drop this week as Epic Games recently announced that the Heavy Sniper rifle will be added in the game’s battle royale mode. It looks like some new content will also be introduced in the game as several leakers have dug up some interesting stuff within the game files. Data miner FortniteLeaks (@Fortnitee_Leaks) recently tweeted something about special umbrellas being added into the game. He claims that these can be obtained by players who get a yet to be determined number of wins in the third-person shooter. 3D renders of these upcoming items were also posted as they don the bronze, silver, and gold colors schemes. Both Cross (@CrossLeaks) and Storm (@StormLeaks) also took to Twitter to reveal what they believe to be some new Limited Time Modes for “Fortnite” BR. Per their recent posts, the game modes are initially codenamed “Use It and Lose It” and “Play High Jump Mode.” No additional details were disclosed except for the fact that these are already in the files. Sudanym (@sud4nym), on the other hand, claims that there’s a spray added in the game files that is labeled as “Special Gift.” He further explained that this item is likely to go live on August 20 which he also claims to be the day before the rift shrinks. 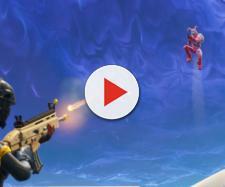 Meanwhile, players are now well aware of the above-mentioned Heavy Sniper Rifle to be introduced in “Fortnite” BR. The insanely powerful weapon has been noticed a few weeks back by a lot of data miners to be included within the BR game files. @FNBRLeaks even tweeted a leaked footage of the weapon in BR as he described it as a beast of a weapon where it made a quick work of several walls and a tree. He also stated that the Epic variant of the Heavy Sniper can deal a body shot damage of up to 150 while a headshot will be up to 342. The Legendary version can deal a whopping 157 body damage while a headshot is about 355 damage. The reload time will definitely be a drag for this new weapon though as it was revealed that the Epic will have 4.3 seconds while the Legendary will be ready within 4.1 seconds. At the time of writing, it's likely that the next update could go live this Tuesday just like most 'Fortnite' updates do.